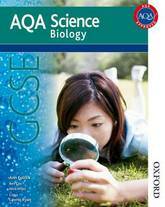 Please note this title is suitable for any student studying: Exam Board: AQA Level: GCSE Subject: Biology First teaching: September 2016 First exams: June 2018 The UK's bestselling GCSE Science series has been updated and specifically tailored for the 2016 AQA GCSE Science (9-1) specifications. Supporting your students on their journey from Key Stage 3 and through to success in the linear GCSE qualifications, this series helps students and teachers to monitor progress, while supporting the increased demand, mathematical content, and new practical requirements. 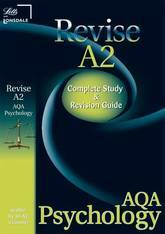 All Student Books have been approved by AQA. 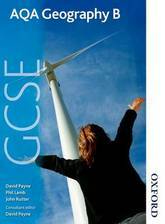 This Student Book offers: - Fully integrated and differentiated support tailored to the 2016 9-1 GCSE specification - Practical feature and chapter to support the required practicals and skills - Maths chapter and worked examples to support the increased mathematical demand of the new GCSE - Synoptic links and questions to develop synoptic skills - Differentiated and ramped questions based on our GCSE assessment model - New practice questions including maths, practical, synoptic, and extended writing Please note: Answers to the Student Book questions are available in the Teacher Handbook and on Kerboodle. Any teachers or parents requiring these answers may contact OUP customer services at schools.enquiries.uk@oup.com, who will be happy to supply them free of charge. 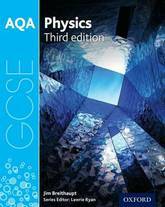 Please note this title is suitable for any student studying: Exam Board: AQA Level: GCSE Subject: Physics First teaching: September 2016 First exams: June 2018 The UK's bestselling GCSE Science series has been updated and specifically tailored for the 2016 AQA GCSE Science (9-1) specifications. Supporting your students on their journey from Key Stage 3 and through to success in the linear GCSE qualifications, this series helps students and teachers to monitor progress, while supporting the increased demand, mathematical content, and new practical requirements. 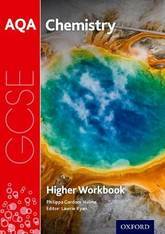 This Student Book has been approved by AQA and offers: - Fully integrated and differentiated support tailored to the 9-1 GCSE specification - Practical feature and chapter to support the required practicals and skills - Maths chapter and worked examples to support the increased mathematical demand of the new GCSE - Synoptic links and questions to develop synoptic skills - Differentiated and ramped questions based on our GCSE assessment model - New practice questions including maths, practical, synoptic, and extended writing Please note: Answers to the Student Book questions are available in the Teacher Handbook and on Kerboodle. Any teachers or parents requiring these answers may also contact OUP customer services at schools.enquiries.uk@oup.com, who will be happy to supply them free of charge. 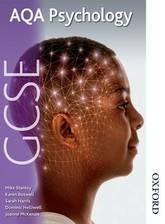 Please note this title is suitable for any student studying: Exam board: AQA Level: GCSE Subject: Psychology First teaching: September 2017 First exams: June 2019 The AQA GCSE Psychology Student Book, written by respected authors with examining experience, is a brand new edition of the UK's bestselling and highly rated student book for AQA GCSE Psychology. 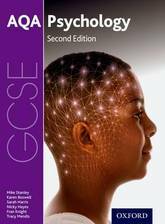 This insightful book has been completely updated and tailored specifically to support students and teachers with all aspects of the new 2017 9-1 AQA GCSE Psychology specification, including perception; development; language, thought and communication; brain and neuropsychology; and psychological problems. With a strong focus on the knowledge, application and evaluation skills needed for exam success, this book is packed full of skills-building activities, practical ideas and revision summaries to engage and inspire students. It provides a firm foundation in research methods and the essential information required to ensure students can deal appropriately with the named key studies. It also provides teachers with a clear route through the course, with plenty of ideas to use in the classroom. Written by an experienced author team, our student book provides comprehensive coverage of the AQA GCSE specification with a real focus on tracking individual progress. 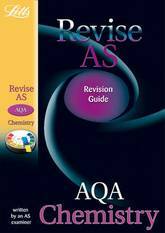 Activities, investigations and revision support reinforce learning. Case studies and web-based research provide frequent opportunities to explore research methods, improve skills and apply knowledge. A new edition of this book, completely updated for the 2017 specification, is out now. The one-stop shop for all your Business requirements, this book provides teachers with the complete reassurance that they have everything they need to deliver AQA's new GCSE Economics specification. The best possible exam preparation with printed assessment materials including exam-style questions, specimen answers and study tips. Prepare your students for the examination with exemplars to help develop the skills required. Practical approach, with case studies to contextualise each subject in a highly visual way. 'Learning Objectives ' clearly referenced to the AQA specification let students know exactly what they need to learn and understand in each topic. 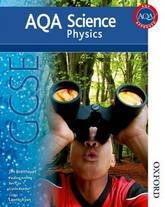 This Student Book has been written by experienced teachers and subject experts specifically for the 2011 AQA GCSE Science specification, providing differentiated content to support, stretch and challenge all abilities. How Science Works is integrated throughout, with additional online activities offering comprehensive guidance and support. Maths Skills activities help develop students' understanding of the subject, and practice questions and study tips help prepare students for their exams. Controlled Assessment sections in the Student Book as well as online activities and worksheets provide practice and guidance. 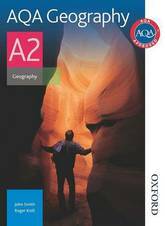 Written specifically for the AQA Geography A2 specification by experienced teachers, this book encourages students to develop the skills they gained at AS Level and examine key geographical issues further, whilst providing comprehensive support for Fieldwork Studies. Clear learning objectives at the start of each chapter help students focus on what they need to know. Key terms reinforce learning and provide definitions and descriptions needed for a particular topic. 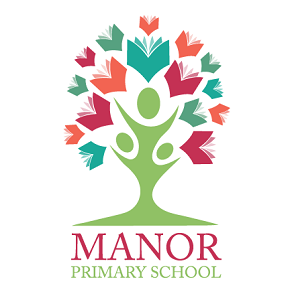 Includes a range of activities that will broaden your students' knowledge and develop independent learning. 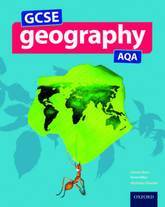 Covering the 2009 AQA GCSE Geography B specification, this student book focuses on contemporary topics and the challenges facing the world in the 21st century, whilst encouraging students to understand the environment and their place within it. Take the fear out of the written exam. 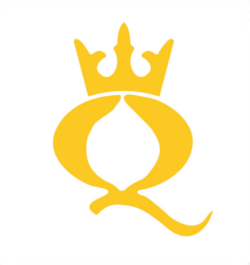 AQA GCSE Drama is the only resource to have been developed with and exclusively endorsed by AQA. With a real focus on tracking individual progress, you can improve your studentsa chance of exam success through a unique blend of print and electronic resources. Get the most from your AQA GCSE Drama Student Book with blended online resources delivered via kerboodle! You can personalise your studentsa learning and track their progress online, whilst giving them the benefit of 24-hour access. Additional Information: Analysis and Discussion Tools Videos Revision Quizzes Exam Question Practice... and much, much more! 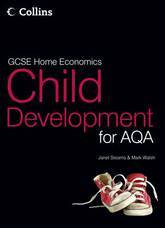 The flexible, student-focussed solution for delivering GCSE Home Economics: Child Development for AQA - this book provides coverage of all topics in the specification and delivers a wide range of activities to prepare students for their assessments This expertly written, innovative student book provides comprehensive coverage of all topics and is fully in line with current practice and terminology. 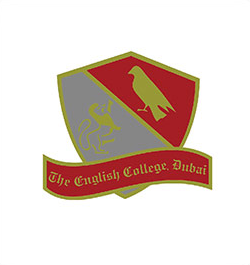 It provides the student with opportunities to: * develop knowledge of children's needs and patterns of development * increase understanding of how children can be provided with different forms of care to enable them to develop appropriately * develop critical thinking skills as well as writing abilities through work on case studies, activities and end of topic questions * develop the knowledge and understanding you will need to successfully complete the assignments and assessment criteria that are part of this award * engage students with a range of teaching and learning features including: Getting Started, Key Terms, Case Studies, Over to You and Investigate. Knowledge Check features help to revise and consolidate key topic areas. Revise smart and save! This Revision Workbook delivers hassle-free question practice, covering one topic per page and avoiding lengthy set up time. Build your confidence with guided practice questions, before moving onto unguided questions and practice exam papers. Target grades on the page help you to progress at the right speed. Exam Alerts highlight common pitfalls and misconceptions in exam questions. Audio files are available free on a companion website to provide realistic question practice. 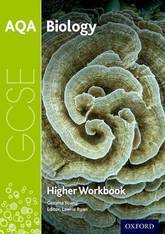 With one-to-one page correspondence between this Workbook and the companion Guide, this hugely popular Revision series offers the best value available for GCSE students. 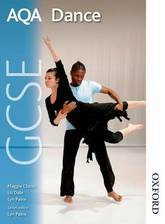 The AQA GCSE Dance student book has a real focus on tracking individual progress, you can improve your students' chance of exam success through a unique blend of print and online resources. Encourages students to develop skills, knowledge and understanding of performance, safe dance practice, choreography and critical appreciation. Helps students approach the written paper and controlled assessment with confidence, with material focused on the 10 prescribed professional works. Differentiated activities to encourage group, paired and individual work. 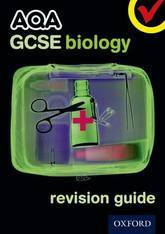 The AQA GCSE Biology Revision Guide contains activities to help students reach their potential, with concise fact banks and practice GCSE-style questions. 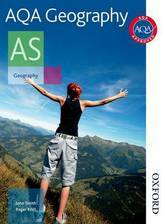 Please note this title is suitable for any student studying: Exam Board: AQA Level: GCSE Subject: Geography First teaching: September 2016 First exams: June 2018 GCSE Geography AQA is a student-friendly resource for the 2016 AQA GCSE Geography (9-1) specification, written specially to target the demands of the course. Accessible, clear and thorough, this student book engages all your students with interesting, up-to-date examples and relevant case studies and has been approved by AQA. Clearly-written objectives open each unit, setting out for students what they need to learn, and high-quality photos, maps and diagrams aid explanations. Motivating differentiated activities, chapters on fieldwork and issue evaluation, and practice questions all reinforce the book's rigour. The book also features a glossary of key terms, and a full index. Answers to all activities are included in the Teacher Handbook on Kerboodle (school purchase only). 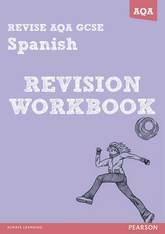 New to accompany our AQA AS Spanish course, these workbooks provide detailed, step-by-step grammar support for independent work. Varied activities track Student Book grammar coverage, while transition and exam-style practice sections provide further reinforcement. Separate book is available for A2. Varied grammar activities track the Student Book grammar coverage, creating regular opportunities for independent practice. Exam-style practice sections recurr throughout each book, testing students' abilities to build up and apply grammar knowledge in realistic AS contexts. Detailed transition sections bridge the gap between GCSE and AS - easing students in and allaying fears following the summer break! Separate books for AS and A2 keep students on track with repetition and reinforcement at every stage, with a mix of on-the-page and extension activities creating an ongoing progress record. Revise smart and save! * This Revision Workbook delivers hassle-free question practice, covering one topic per page and avoiding lengthy set up time. * Build your confidence with guided practice questions, before moving onto unguided questions and practice exam papers. * Target grades on the page help you to progress at the right speed. * Exam Alerts highlight common pitfalls and misconceptions in exam questions. * Audio files are available free on a companion website to provide realistic question practice. 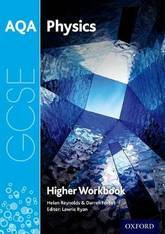 * With one-to-one page correspondence between this Workbook and the companion Guide, this hugely popular Revision series offers the best value available for GCSE students. 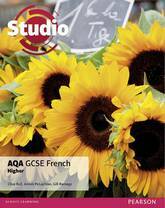 Expertly structured AQA GCSE 9-1 French Student Book designed to help learners use language independently and to the best of their ability, with fresh and engaging cultural content. A carefully designed programme of learning teaches the 'building blocks' of French grammar and vocabulary that give students the tools to manipulate language. Key concepts are taught in appropriate topics, revisited and recycled throughout the course to embed understanding and allow practice within different contexts. Content boosts motivation by encouraging students to learn something new . 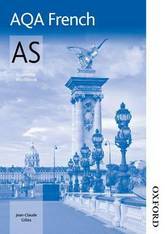 The book includes topics that are popular with students and teachers, transactional language and real life-contexts; all with links to the French culture. Some overlap in level of demand with the Foundation tier book ensures all abilities can access content in both books, allowing you to gauge which tier is most suitable for each of your learners. 'Point de depart' units provide a smooth transition from KS3 learning Each unit and module is structured to allow gradual progression, ensuring all students can access some content from every section. A range of authentic materials and literary texts help students become familiar with them and build confidence in coping with unknown vocabulary. An equal focus on all four skills and the interplay between them helps reinforce grammar and vocabulary learning. 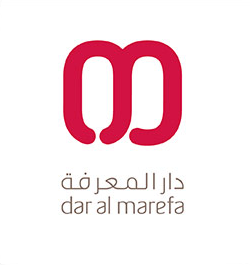 Students encounter grammar in reading and listening activities, and put it into practice in speaking and writing, reinforced with translation activities. 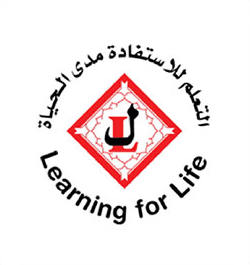 Exam preparation units are included for Reading, Writing, Speaking and Listening. Revision forms the final module, supporting class-based revision for the new assessments. Audio files to accompany our Student Books are sold separately. Our resources for the 2011 AQA GCSE Science specifications have been specifically developed by listening to teachers and addressing their needs. You can be confident your students will achieve the best grades as our course gives you more assessment, better engagement and extra help with delivery - much more than any other AQA GCSE Science course. The course is also the simplest and clearest approach of all resources available - containing all the help and support you need to teach the new specifications with ease and to make the transition as smooth as possible. 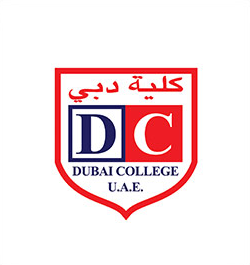 The course also provides comprehensive exam preparation and assessment to help your students understand what is expected of them and improve their grades. 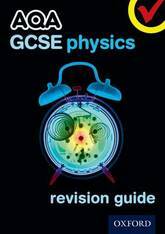 The GCSE Physics Revision Guide contains activities to help students reach their true potential. 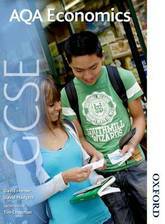 It identifies areas that require further work and also contains concise fact banks and practice GCSE-style questions. 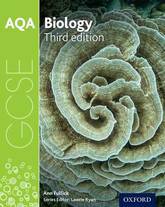 Please note this title is suitable for any student studying: Exam Board: AQA Level: GCSE Subject: Biology First teaching: September 2016 First exams: June 2018 The UK's bestselling GCSE Science series has been updated and specifically tailored for the 2016 AQA GCSE Science (9-1) specifications. Supporting you on your journey from Key Stage 3 and through to success in the new linear GCSE qualifications, this series helps students and teachers monitor progress, while supporting the increased demand, mathematical content, and new practical requirements. 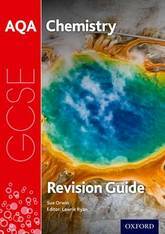 This Revision Guide offers: - Comprehensive revision support for the 9-1 specifications - Differentiated questions to help all students make progress and build confidence - Synoptic links to help students make connections between topics - Support for the new increased mathematical demands on the specifications - Support for answering the new practical questions - Checklists to help monitor progress - Additional exam-style practice questions. 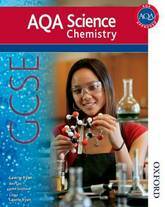 Please note this title is suitable for any student studying: Exam Board: AQA Level: GCSE Subject: Chemistry First teaching: September 2016 First exams: June 2018 The UK's bestselling GCSE Science series has been updated and specifically tailored for the 2016 AQA GCSE Science (9-1) specifications. Supporting you on your journey from Key Stage 3 and through to success in the linear GCSE qualifications, this series helps students and teachers monitor progress, while supporting the increased demand, mathematical content, and new practical requirements. 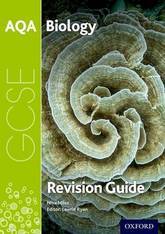 This Revision Guide offers: - Comprehensive revision support for the 9-1 specifications - Differentiated questions to help all students make progress and build confidence - Synoptic links to help students make connections between topics - Support for the increased mathematical demands of the 2016 specifications - Support for answering the new practical questions - Checklists to help monitor progress - Additional exam-style practice questions. 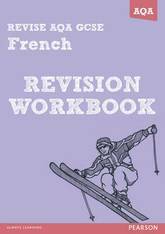 New, to accompany our AQA AS French course, these workbooks provide detailed, step-by-step grammar support for independent work. Varied activities track Student Book grammar coverage, while transition and exam-style practice sections provide further reinforcement. Separate book is available for A2. 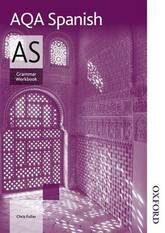 Varied grammar activities track the Student Book grammar coverage, creating regular opportunities for independent practice. Exam-style practice sections recurr throughout each book, testing students' abilities to build up and apply grammar knowledge in realistic AS contexts. Detailed transition sections bridge the gap between GCSE and AS - easing students in and allaying fears following the summer break! Separate books for AS and A2 keep students on track with repetition and reinforcement at every stage, with a mix of on-the-page and extension activities creating an ongoing progress record. 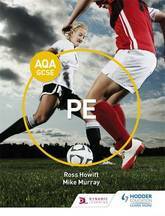 Exam Board: AQA Level: GCSE Subject: PE First Teaching: September 2016 First Exam: June 2018 Inspire, motivate and give confidence to your students with AQA PE for GCSE. This reliable and accessible textbook is structured to match the specification exactly and will provide your students with the knowledge they need, while giving them the opportunity to build skills through appropriate activities. - Key questions to direct thinking and help students focus on the key points - Summaries to aid revision and help all students access the main points - Diagrams to aid understanding - Attractive layout for a truly accessible textbook - Definition of key terms - again to aid and consolidate understanding of technical vocabulary and concepts - Activities to build conceptual understanding and sound knowledge and understanding, analysis, evaluation and application skills. Written specifically for the AQA Geography AS specification by experienced teachers, this student book takes a focused look at the interrelated causes of contemporary global issues. Clear learning objectives at the start of each chapter help students focus on what they need to know. Key terms reinforce learning and provide definitions and descriptions needed for a particular topic. Includes a range of activities that will broaden your students' knowledge and develop independent learning.